Louis de Pointe du Lac. 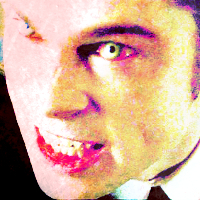 Vampire Icontest, Theme: Angry. Images in the Brad Pitt club tagged: photo brad pitt interview with the vampire louis de pointe du lac. This Brad Pitt icon might contain pak, portret, headshot, and close-up.